curl localhost:9090/api/current/nodes?type=compute |  jq '.' | grep \"id\"
If the response comes back , please follow OBM Setting, to add OBM setting. curl 'localhost:9090/api/2.0/lookups?q=02:42:ac:1f:80:03' | jq . To provision the OS to the node, RackHD can act as an OS mirror repository. CentOS-7-x86_64-DVD-1708.iso can download from Official site. 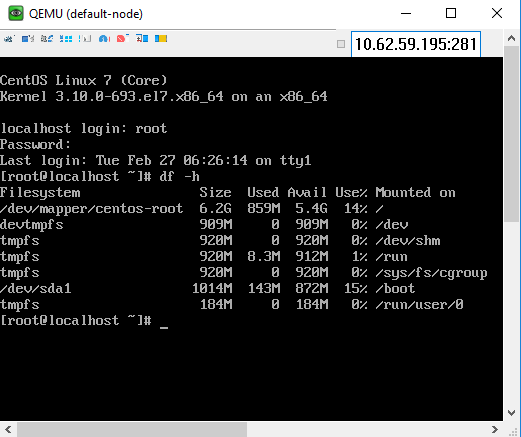 The OS mirror will be available on http://172.31.128.2:9090/common/centos/7/os/x86_64 from vNode’s perspective. Edit the payload json with vim. # Change the "repo" line to below. curl -X POST -H 'Content-Type: application/json' -d @install_centos_7_payload_minimal.json    localhost:9090/api/2.0/nodes/<nodeID>/workflows?name=Graph.InstallCentOS | jq . Use API to monitor the running workflow. curl localhost:9090/api/current/nodes/<Node_ID>/workflows?active=true | jq . Once the OS has been installed, you can try login the system via UltraVNC console. Installed OS default username/password: root/RackHDRocks! Moreover, in this lab, the minimal payload was used. 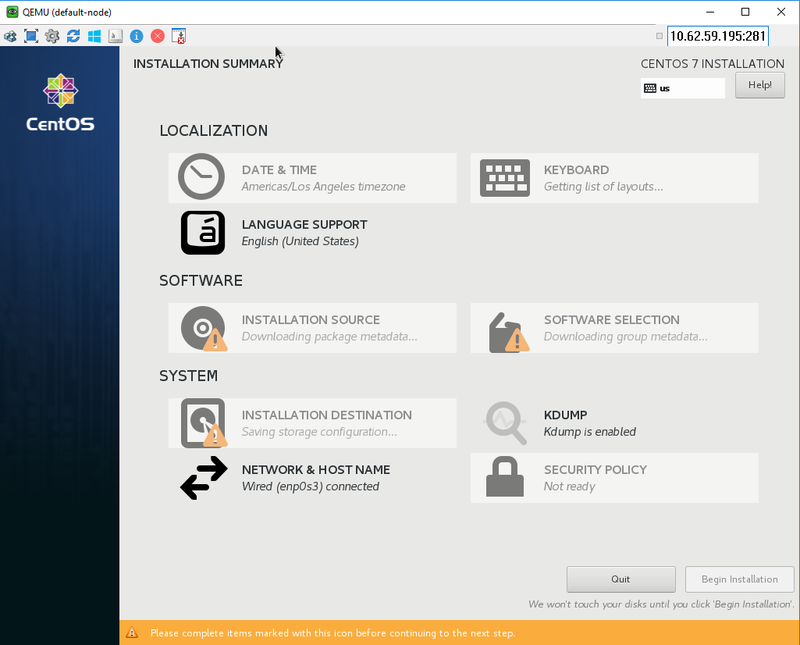 You can specific more setting in the payload and RackHD will configure the OS for you, example: the user-creation, network configuration, disk partition …etc.